Wow!!! What stellar year for the FMFBC benefit!!! Amazing venue, amazing musicians and poets, amazing audience and supporters, amazing volunteers, and as one friend put it, an amazing day of positive energy!! You all should be very proud of whatever part you played in today’s fundraiser! This was our best year ever! 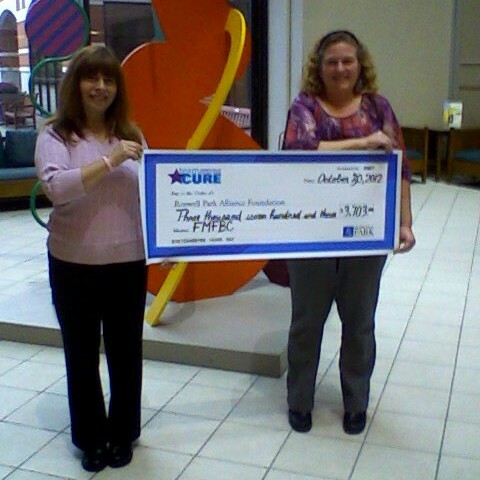 Our total proceeds came to $4,382!!!!!!!!! 2. DWAYNE HALL, DENISE HALL, JASON HALL, AND KENNY BRENNINGER-OF THE SPORTSMEN’S TAVERN FOR STEPPING UP TO THE PLATE WHEN THE ORIGINAL VENUE SUDDENLY CLOSED AND GENEROUSLY DONATING THE VENUE, SOUND, LIGHTS AND BACKLINE AS WELL AS SEVERAL AMMENTITIES/GUIDANCE TO ENSURE THE EVENING WENT SMOOTHLY. SPECIAL THANKS TO JASON FOR BEING PATIENT WITH MY OCD. IT WAS A PLEASURE TO WORK WITH THEM, AND THEIR BARTENDING AND KITCHEN STAFF. ALSO THANKS TO JACOB ON SOUND AND LIGHTS! GREAT JOB! 3. 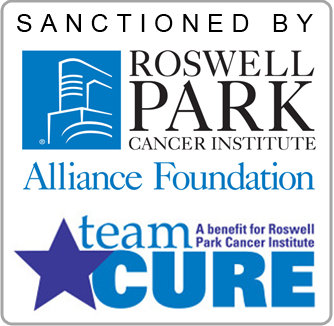 ROSWELL PARK’S ALLIANCE FOUNDATION AND TEAM CURE/JULIA HARVEY – FOR THE SANCTIONING OF THIS EVENT AND HELP WITH PROMOTIONS, TEAM CURE KIT, AND FOR SAYING A FEW WORDS ON BEHALF OF ROSWELL. 4. ED HOENECK- FROM NIGHTLIFE MAGAZINE FOR HIS CONTINUED SUPPORT IN ADVERTISING AND PROMOTING THIS EVENT. 5. STEPHANIE PETKO- FOR HER HAND CRAFTED OWLS MADE ESPECIALLY FOR THIS EVENT. 6. TO ALL THE PERFORMERS: PURE INK AND PULSE POETRY, DONNA ROSE AND HOT BLUE MIX, GRACE LOUGEN AND THE LEFTOVER PANCAKES, AND OUR HEADLINER, GRACE STUMBERG! WHAT A GREAT, SUPPORTIVE, SELFLESS, TOP NOTCH LINEUP OF TALENT!! 7. KATIE HILDRETH/NOIZEPRO.COM-THIS YEAR’S ONCE AGAIN OUTSTANDING POSTER DESIGN AND WEB SITE DESIGN AND MAINTENANCE, FACEBOOK PAGE AND PROMOTION. 8. PHOTOGRAPHER, SARAH CARR-MANSOURI – FOR DONATING HER TIME TO TAKE EVENT DAY PICTURES! Joe/Allentown Music, Jamie/Guitar Factory, Mikal/Guitar Center, Vince/Music City, Nadine Mackey (SASI), Barry/Terrapin Station, Catherine Grace& family, Tops Markets, Margaret Freiert, Jan Wood, Natalie Deluca, Carmen Torres-Bursie, Kelley Mathieson, Maria Oakley and my generous co-workers from ACCES-VR, Vanessa Rehac/printing, Joelle Brown, Bonnie Mertz, Michael/Bomi Jewelers, Martin/The Gourmet Store, Kim/Elwood Fire Protection, Susan Tanner/Righteous Babe Records, Don Rutter/The WNY Blues Society-promo, Max Willig, Renae Goeckel, Ellen Bourn, JB, Onyx/Strange Brew, Joe/Vizzi’s, Mark and Ernie/Hutch’s and The Remington, Mary/The Phoenix, D’Avolio’s, Lynn Schmeidler, Nancy Weimer, Brighton-Eggert Florist, Party City, The Painted Lady, Amigo’s, Rosemary deGuehery Cena, Marti Gorman/Citybration emagazine, Natalie Neubauer, Dennis Grace-signs, and Gabrielle/The Gypsy Parlor. Thank you for your sense of community support and generosity!